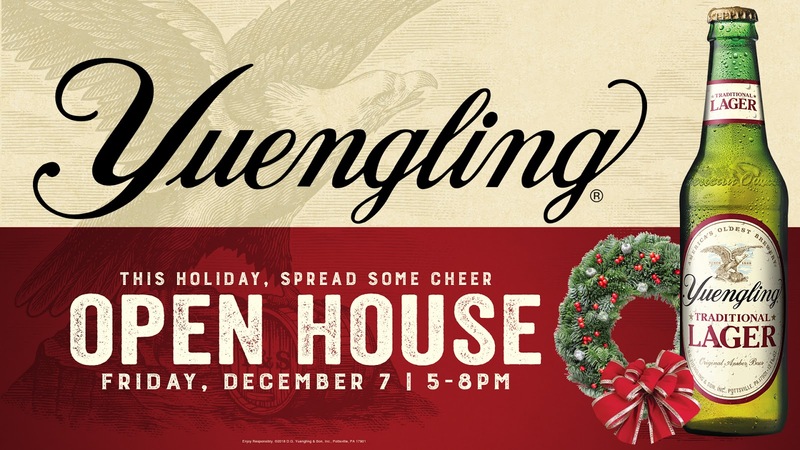 Yuengling will hold a Holiday Open House at the Pottsville Brewery. 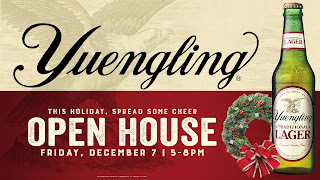 Yuengling will be extending it's hours Friday, December 7th from 5 – 8 p.m. at its Pottsville brewery (420 Mahantongo St., Pottsville, Pennsylvania 17901). Guests of all ages are invited for food, music and fun! Attendees will enjoy $2 pints in the Tasting Room (for visitors 21+), live music by Bill Yaz, a cookie & beer pairing, a Kids Corner with hot chocolate and special guests from the North Pole, and door prizes every hour.